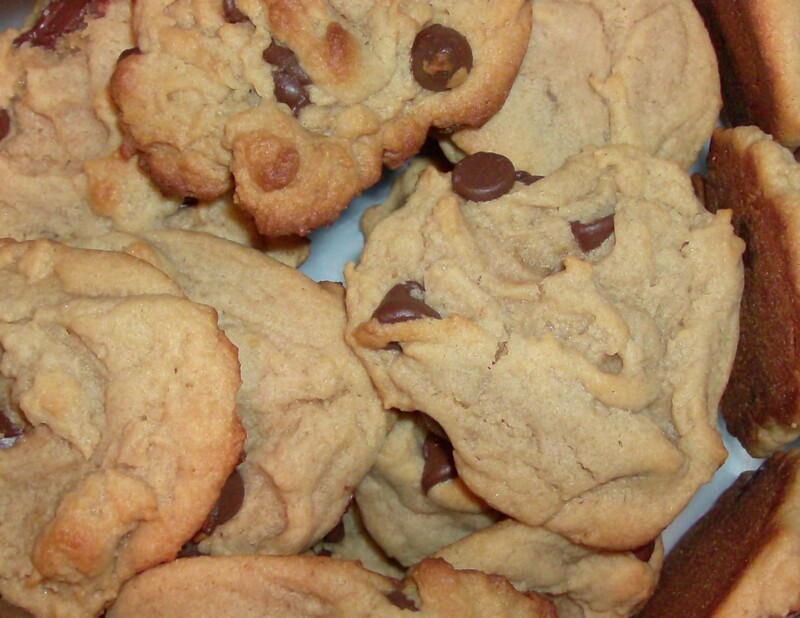 Based on Crisco Peanut Butter And Chocolate Chip Cookies by Lisa J. 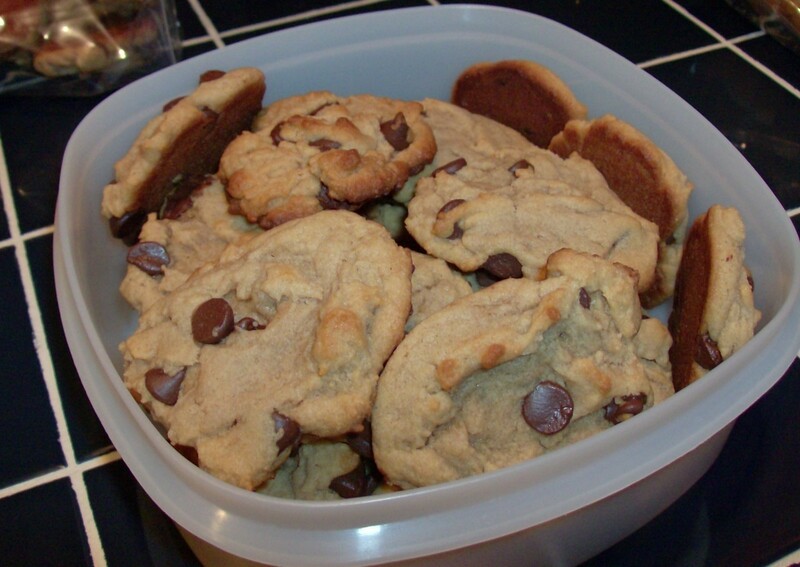 If you make these, when you are packing them up don't forget to put bread in the container! :) It makes them soft.